I’m a Mac user, much like many of my digital native friends. There are a lot of stories swirling around online about the Flashback Trojan. There are many Macs that are infected, as many as 600,000 by some estimates. Let’s take a second to make sure your Mac isn’t one of the more than half a million affected. Ars Technica has a great resource to help. The Flashback trojan has been around since last year, and it attacks a Java vulnerability within Mac OSX, and if left unpatched, can make your Mac into a part of a botnet. According to Ars, 57% of the affected Macs are in the US and another 20% are in Canada. 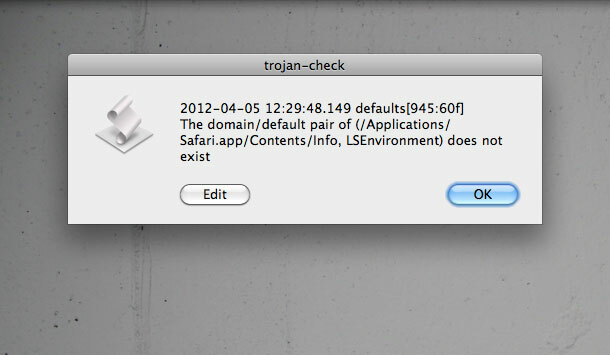 So, check out the linked F-Secure instructions to see if you’re Mac is infected. Basically, you need to run some terminal commands. If you’d rather use Applescript, see out the resources in the Mashable article.